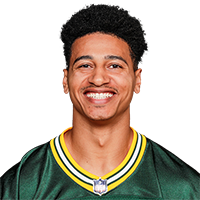 Published: Dec. 11, 2017 at 04:13 p.m.
Green Bay Packers wide receiver Trevor Davis makes huge 65-yard punt return. Published: Oct. 30, 2016 at 06:02 p.m.
Green Bay Packers wide receiver Trevor Davis returns a punt 55 yards while dodging defenders. Published: Oct. 30, 2016 at 05:57 p.m.
Green Bay Packers wide receiver Trevor Davis dives for a 9-yard TD reception on a pass from QB Aaron Rodgers.